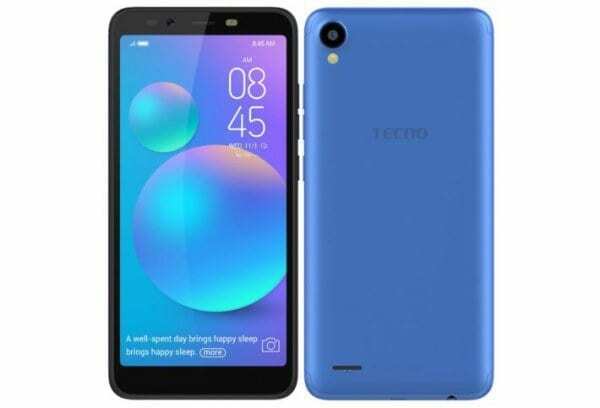 The TECNO CAMON i sky 2 and the TECNO CAMON i Ace are two affordable smartphones that were launched in India by TECNO in August 2018. This phones packs cool body design with features you will love. 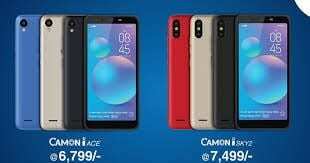 The TECNO CAMON i sky 2 seems to be the only one that supports fingerprint scanner which further proof that the TECNO CAMON i Ace is the affordable one among the duo. Both phones look alike except the camera placement and the fingerprint scanner that you can’t find on the CAMON i Ace. The TECNO CAMON i sky 2 is more adorable than the later. The phone features a smooth panel where you will find a dual camera resting on the top left corner alongside an LED flash and a fingerprint scanner sitting on the center where the hand can easily reach. It measures 147.1 x 68.8 x 8.5 mm in dimensions and weighs 149 gram. The TECNO CAMON i Ace is also boasting a clean body design that is built with a polycarbonate finish. The smartphone is also blessed with an impressive camera which is single on the rear alongside an LED flash but apparently lacks a fingerprint scanner for security. You will have to replace the fingerprint scanner with the Face ID that is supported on the front. This budget phone is available in Champagne Gold, Midnight Black & Midnight Blue. Both phones feature an average screen size of 5.5 inches under IPS LCD capacitive touchscreen and a mediocre screen resolution of 720 x 1440 pixels. Don’t expect much from this resolution because it can’t offer what it does not have. The phone manages to reach 293 ppi density with the trending 18:9 aspect ratio and it has a screen protector which is scratch resistant. On the display, there is nothing different on both phones; users will be getting the same viewing quality from both sides. The TECNO CAMON i sky 2 comes with a dual camera of 13MP + 2MP that will help you to capture your beautiful moment with your phone. This sensor features a bokeh effect, panorama, and other effects. 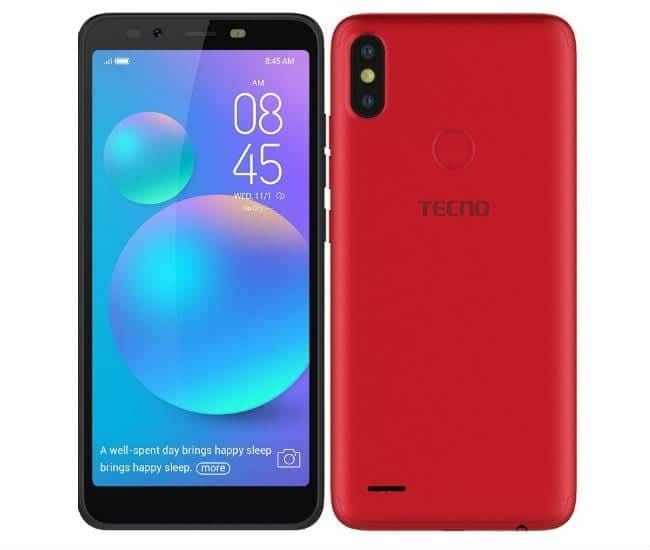 As for the TECNO CAMON i Ace, you will be getting a single rear camera of 13MP with good features as well just like it’s rival and LED flash. Both phones have a front facing camera of 8MP with AI feature, Face ID and a dedicated LED flash for a low light environment. You will also be getting the same Performance on both phones. The TECNO CAMON i sky 2 and TECNO CAMON i Ace on the inside packs an entry-level Quad-core MediaTek MT6739 processor. This hardware has PowerVR GE8100 taking charge of graphics, and they run on Android 8.1 Oreo operating system. The internal memory is 16GB with 2GB of RAM in support, and they also support external SD card up to 128GB. There is a nonremovable battery capacity of 3050mAh which promise to last up to 26 hours of talk time on a single charge. Both phones support 4G LTE with micro USB cable and WiFi for wireless connection and other connectivity options. Is this phone available in Nigeria? It looks cool and very affordable too.